There will also be several in-class presentations, which will contribute to you grade. The first short presentation will count for 5 points towards class participation, with attendence each week counting for 1 point. Each week we will designate an individual to present one of the "theory" papers assigned for the following week. We will start the next class with their presentations. As this is a seminar course, regular attendance is essential. You will be permitted two excused absences (you must notify me of your inability to attend before class, via email or phone). Any subsequent absences and any un-excused absences will adversely affect your grade. There will be no final exam. Instead, a 3000-5000 word (Times New Roman, 12pt font, double spaced) term paper is due on Thursday, May 10th at 7:00PM. If that time will not work for you, you need to make other arrangements by Thursday, May 3rd at the latest. Paper topics can address any aspect of the topics and materials discussed in class. They can focus on the theories themselves, or in applying the theories to media phenomena. Papers should include materials beyond what is directly covered in class, as appropriate for your topic. The blog will provide many ideas for papers, as will class discussion. You will have to write a proposal for your paper by March 29, but you should be thinking about possible topics throughout the semester. Erik Sofge, "Can Robots Be Trusted? "Popular Mechanics, Feb 2010, Vol. 187 Issue 2, pp. 54-61. Douglas Rolfe (1934) "Robot Planes to Fight Enemy Air Raiders," Modern Mechanix, July 1934. O. O. Binder (1957) "You’ll Own “Slaves” by 1965," Mechanix Illustrated, January 1957. Lynn Spigel (2005) "Designing the Smart House : Posthuman Domesticity and Conspicuous Production," European Journal of Cultural Studies, 2005 8: 403-426. Mika Pantzar (2000) "Consumption as Work, Play, and Art: Representation of the Consumer in Future Scenarios," Design Issues, Vol. 16, No. 3 (Autumn, 2000), pp. 3-18. A.J. Bernheim Brush, Bongshin Lee, Ratul Mahajan, Sharad Agarwal, Stefan Saroiu, Colin Dixon (2011) "Home Automation in the Wild: Challenges and Opportunities," Microsort Research Technical Report, CHI2011. Michael Rogers (2006) "Smart Homes Go Mass Market," The Practical Futurist Blog, MSNBC, April 10, 2006. Steve Clayton (2011) "Microsoft Facility Helps You Make Yourself at Home in the Future", Microsoft.com, August 8, 2011. Ms. Smith (2011) "Microsoft’s automated Future Home, what can go wrong?" Networkedworld.com, June 10, 2011. Watch: "Inside Microsoft's Future Home", BBC TV, May 13, 2009, 3 min. Genevieve Bell and Joseph Kaye (2002) "Designing Technology for Domestic Spaces: A Kitchen Manifesto," Gastronomica: The Journal of Food and Culture, Vol. 2, No. 2 (Spring 2002), pp. 46-62. Lynn Spigel (2001) "Media Houses: Then and Now," International Journal of Cultural Studies, 2001, Volume 4(4): 385–411. "Smart Rooms and Buildings," Fraunhofer Magazine, January, 2012. Watch: LeVar Burton, Smart House, Disney TV, 1999, 82 min. Erico Guizzo, (2011) "Nevada Bill Would Provide Tentative Roadmap for Autonomous Vehicles," IEEE Spectrum Automation Blog, April 29, 2011. John Markoff (2011) "Google Lobbies Nevada to Allow Self-Driving Car," New York Times, May 10, 2011. John Markoff (2012) "When Self-Driving Cars and the Real World Collide," New York Times, January 23, 2012. Watch: The DARPA Grand Challenge, YouTube, 11 min. Pericle Salvini, et al. (2010) "An Investigation on Legal Regulations for Robot Deployment in Urban Areas: A Focus on Italian Law," Advanced Robotics, 24 (2010) 1901–1917. Watch: The DARPA Grand Urban Challenge Champion, YouTube, 3 min. Michael Montemerlo, et al. (2008) "Junior: The Stanford Entry in the Urban Challenge," Journal of Field Robotics, Volume 25, Issue 9, pp. Watch: CS373: Programming a Robotic Car, Youtube, 1 min. Peter Miller and Ted O'Leary (1994) "Accounting, "Economic Citizenship" and the Spatil Reordering of Manufacture," Accounting, Organization, and Society, Vol 19, No. 1, pp. 15-43. Astrid Weiss, et al. (2009) "Looking forward to a ”robotic society”? - Imaginations of future human-robot relationships," HRPR09. Shoshana Zuboff, "The Abstraction of Industrial Work," In In the Age of the Smart Machine: The Future of Work and Power, New York: Basic Books, 1988: 58-6. Van Wynsberghe, A., & Gastmans, C. (2008) "Telesurgery: An ethical appraisal," Journal of Medical Ethics, 34, e22. Jin, L. X., et al. (2011) "Robotic Surgery Claims on United States Hospital Websites," Journal for Healthcare Quality, 33: 48–52. Watch: Robotic Surgery Demonstration Using Da Vinci Surgical System, YouTube, 5 min. Watch: Seattle Doctor Folds and Throws Paper Airplane Using da Vinci Robot, YouTube, 3 min. Prof P.R. Koninckx and Drssa A. Ussia (2010) "Robotic surgery is not superior and potentially dangerous." Shannon Vallor (2011) "Carebots and Caregivers: Sustaining the Ethical Ideal of Care in the Twenty-First Century," Journal of Philosophy of Technology, 24, 251–268. Peter Asaro (2009) "What Should We Want from a Robot Ethic?," in Rafael Capurro and Michael Nagenborg (eds.) Ethics and Robotics, Amsterdam, The Netherlands: IOS Press. Peter Asaro (2009) "Modeling the Moral User: Designing Ethical Interfaces for Tele-Operation," IEEE Technology & Society, 28 (1), 20-24. Don Norman (2003) Emotional Design, Chapter 7 The Future of Robots. Watch: "Interrogation Robot," (2011), San Jose State University, YouTube, 6 min. Watch: "No Robots," (2011), Yunghan Chang, Vimeo, 6 min. Watch: "Ken Goldberg - Can Robots Inspire Us To Be Better Humans? ", TEDx, 18 min. Richard Kelley, et al. (2010) "Liability in Robotics: An International Perspective on Robots as Animals," Advanced Robotics 24 (2010) 1861–1871. Peter Asaro (2011). "A Body to Kick, But Still No Soul to Damn: Legal Perspectives on Robotics," in Patrick Lin, Keith Abney, and George Bekey (eds.) 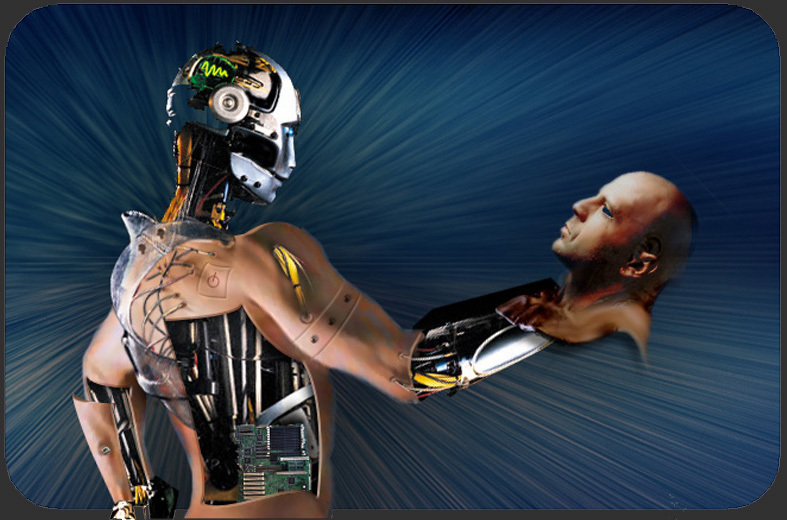 Robot Ethics: The Ethical and Social Implications of Robotics. Cambridge, MA: MIT Press, pp. 169-186. Peter Asaro (2000). "Transforming Society by Transforming Technology: The Science and Politics of Participatory Design," Accounting, Management and Information Technologies, Special Issue on Critical Studies of Information Practice, 10 (4), pp. 257-290. Eric Hagerman, "Point. Click. Kill: Inside The Air Force's Frantic Unmanned Reinvention," August 18, 2009, Popular Science. Text of the Attorney General’s National Security Speech, March 3, 2012. Erico Guizzo, "BeetleCam Robotic Camera Meets the Lions of Masai Mara," IEEE Spectrum, March 8, 2012. Watch: "BP Deepwater Horizon Disaster: Robot loses Saw - 2nd Robot brings it back. Wow!" YouTube, 9 min. Watch: "BP Deepwater Horizon Disaster: Robot is handling a slip hook," YouTube, 5 min. Watch: "BP cutting pipes on BOP - deep water horizon - oil spill live feed," YouTube, 11 min. Alberto Sanfeliu, et al. (2010) "Infuence of the Privacy Issue in the Deployment and Design of Networking Robots in European Urban Areas," Advanced Robotics, 24 (2010) 1873–1899.